Some people just love to wear blue costumes on Halloween. I don’t know if it’s because they like the blue characters we all know like The Smurfs, Neytiri from Avatar, The Blue Man Group, or if it’s because blue is their favorite color. The color blue reminds us of the sky, the ocean, it creates chemicals in our bodies that calm us, blue is the color of loyalty, in other words, blue is a trendy color. 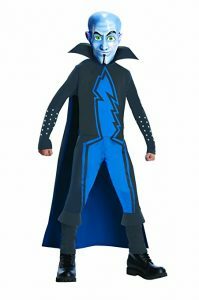 There’s no shortage of blue Halloween costumes, so if you want to wear blue this year on Halloween, sit back, browse this lens and I am confident you will find at least one costume idea you will like. Lagoona Blue from Monster High, Blues Clues, Super Mario Bros Mario and Luigi, Blue Lego Bricks, are just the beginning. You are going to be quite surprised at how many blue costume ideas there are, I’ve got 50 on this page already! If you know of any I missed and wanted to share it with us, just go to the bottom of the page, and you can tell us about it in the plexo box there. 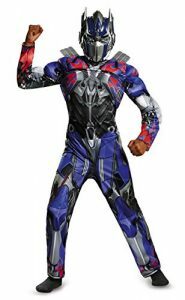 The costume image is from Amazon and is sold on this page. Let’s See How Many Blue Costumes I Can Find! It’s going to be a challenge for me to find as many blue costume ideas, for kids, teens, and adults, as I can. I hope you like long lists! I am a list maker…have been ever since I was a child, so for me, this is like playing. 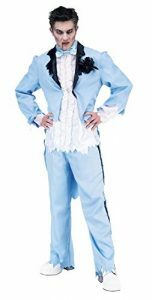 Here goes my blue Halloween costume list…I am going, beginning with, some of the most familiar and more popular blue costume ideas…my costume list will get more interesting as it goes on! Lagoona Blue of Monster High fame is a popular blue costume and has been for the past couple years along with her blue wearing monster friends, Frankie Stein, Abbey Bominable, and Cleo de Nile. Girls and tweens like to dress up like these cool monster teenage girls, and Monster High just keeps growing in popularity each year. So have some dress up fun in one of these charming, very hot Halloween costume ideas. Katie Perry! Yes, this singer and her blue wig managed to wedge herself into a spot on the top of the blue costume list. Katie is quite a character, and it’s easy to see why she would be a popular costume to wear. A Katie Perry costume would be pretty easy to make yourself…just add a blue wig or blue hair spray coloring to one of your outrageous and small outfits. This young lady is not only fun; she’s talented. You can always add a microphone as a costume accessory when you dress up as Katie Perry. 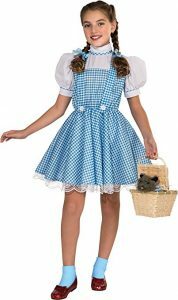 Dorothy Gale from the Wizard of Oz – you remember Dorothy and her dog Toto from the Wizard of Oz – well, this little pretty in her blue gingham dress always seem to manage to get on the top of a popular costume list. Her blue checked dress is so recognizable that we all know who’s dress it is right away. And her little dog too is a costume prop, that needs no introduction at all. You can always find some fab costume ideas from the Wizard of Oz movie and this year you can also find some great costumes from the newest Oz themed movie, Oz The Great and Powerful. There are some very nice costumes if you want to dress up as Glinda, Evanora, or Theodora. They just aren’t blue. Get more Wizard of Oz Costumes ideas. 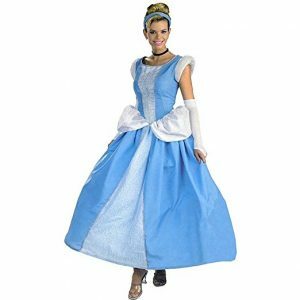 Cinderella, the Walt Disney Princess who goes from rags to riches, is always a top girl Halloween costume choice. It’s a fairy tale come true and we have all watched while Prince Charming slipped that famous glass slipper onto Cinderella’s dainty foot. 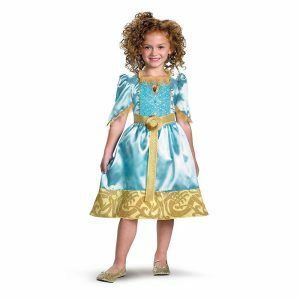 This sweet princess is the ideal costume for a girly girl to dress up in. Your little princess will probably love this princes’ costume as much as my girls did when they were younger. Princess Merida from Brave is going to be on the top of the blue costume list this year…it’s the latest Disney Princess movie and Merida is a keeper! She doesn’t wait around for any prince to save her, she takes matters into her own hands and finds her solutions…wow…she is def living ahead of her times. Her blue costume is another one that we all recognize on sight. You can also find some great Princess Merida party supplies” for this new Disney princess. 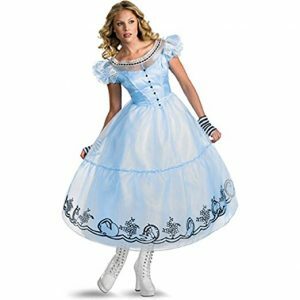 Alice in Wonderland gives us another blue costume that is so very popular since the release of the movie starring Johnny Depp a couple of years back. The Cheshire Cat, The Mad Hatter, and The Red Queen are also hot costume choices, but I can’t talk about them here – they are not blue! You might see them if you click on the Alice costume link! 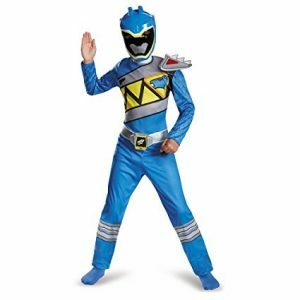 A Blue Power Ranger costume is another very popular costume idea that we all recognize right away. Some costumes need no introduction what so ever, this is one of the classics costume for adults and kids. They’ve been around forever, but it doesn’t matter. They never go out of style; they are fun to wear, and easy to find. The Blue Power Ranger – and his different hued brothers and sisters in battle – are also up high on the costume popularity list, they just aren’t blue so they are more costumes I can’t talk about here. I am trying to strictly stick to blue disguises only. Mystique from X-Men is a great idea for someone who wants to dress in a blue costume, and we are talking all blue. Mystique’s skin is blue, so this character fits the title of this lens perfectly. You can find more fun ideas about her at my X-Men Mystique Lens You can pre-order a Mystique costume or look through a huge online costume supplies catalog and Get 15% Off! 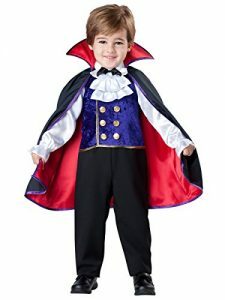 at BuyCostumes.com. If you enjoy the X Men and the Mutants they fight against, this Mystique costume might interest you. The Blue Fairy is a fun costume for women and girls to dress up in. There are a couple different designs to choose from when you are looking at fairy costumes, there’s even one that lights up. How pretty that would look as evening becomes night on Halloween. Imagine being the girl who lights up the entire neighborhood with her fabulous costume! Blues Clues is a blast from the past that kids love! Dog outfits are a pretty popular kid’s Halloween costume, and this blue one is very cute. I chose a baby costume to show you, it has paw prints all over it, but you can find other costumes including a bunting for infants, and some toddler and kids size too. There’s even a Blue Clues costume for your dog! A Blue Jelly Fish costume is certainly a unique idea! This blue costume is one you are going to have to make yourself. I found the directions online, and it looks fairly easy to do. The top of the Jelly Fish looks like a sombrero, and the tentacles are made from ribbons in silver and blue. It’s cute, and it would probably be lots of fun to make with your kids. It also doesn’t sound too expensive, and we all know how much fun it is to find a cheap Halloween costume idea! I saw another Jelly Fish costume that was made with an umbrella and bubble wrap. 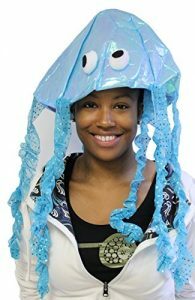 Here is how to make a jelly fish costume with a hat at Hat Jellyfish costume or take a look at the umbrella jellyfish costume ideas at Martha Stewart’s Umbrella Jellyfish costume ideas. Who is bluer than The Smurfs? 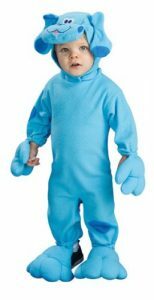 You can make your Smurf costume, or you can buy one. For Smurfette, you need a white dress or skirt, blue tights, a blue long sleeved shirt, lots of blue costume makeup and a yellow wig. One wig I saw is a bit glamorous for Smurfette, but then why not make your Halloween costume as pretty as you can, here’s the yellow wig. The other Smurf characters will need white pants, Papa Smurf will need red pants, blue long sleeve shirts, and a Smurfy hat…you can find that here…The Smurfy Hat. Aphrodite This beautiful Greek goddess costume comes in a lovely shade of blue for those of you who plan to dress up as the goddess of love and beauty. There are many goddess costumes you can choose from, but Aphrodite is one of the very best choices, after all, she is also known as the goddess of desire and here is what her blue costume looks like. 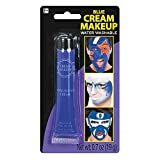 Face Paint Blue. That’s an easy homemade costume idea! Jeans pants and shirt, blue makeup and a couple of name tags. Star Trek Spock Ears to my blue shirted costume and transforms me into the USS Enterprise’s Vulcan, science officer. 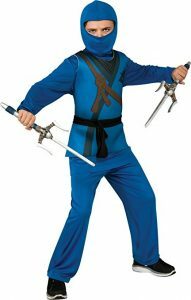 The Blue Ninja is another fun costume to dress up in at Halloween time. Ninja’s are pretty exciting characters. They are strong, stealthy, very skilled in many areas of the martial arts, at times it seems the Ninja possess supernatural powers. This Blue Mermaid Costume is the stuff dreams are made of! I think every girl and woman has at least once had a secret wish to become a mermaid (I know I have!) and now that secret wish can come true with this beautiful blue, sequined costume. 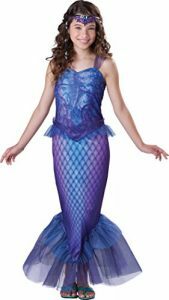 Go ahead, dress up as a mermaid this Halloween and live your dream. Avatar Costumes – Neytiri and Jake These blue costumes of the Na’vi would make a great couples costume idea, or you can wear them solo. Each of these characters is fiercely independent and yet belong together! Join the forces to save Pandora this Halloween with these exotic looking costume ideas. Once again that blue make up you’ve seen on this page is going to come in very handy. Peacock Halloween costume ideas are just plain lovely to look at, just like a real peacock would be. These are brilliantly colored costumes that look great on kids and adults. Have you ever seen a more beautiful bird? I think not! Here’s a picture to show you what I mean because this adorable costume is one of those pictures that speaks a thousand words. Blueberry Muffin is one of the famous Strawberry Shortcake characters…yes, she is the blue one. I can’t even begin to tell you how long the Strawberry Shortcake costumes have been around, but they are a classic kid’s Halloween costume, and if your child is a fan, she will enjoy dressing up in this outfit. 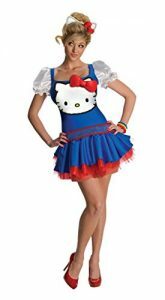 You can gather a skirt, top, and sweater, decorate it with some blueberry appliques and make your costume or you can take a look at the one below found at Amazon. 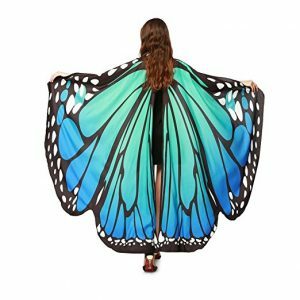 The Blue Butterfly Costume comes in girls and women’s sizes so big and little girls can dress up as a beautiful butterfly for Halloween. The costume shown here is an adult size costume, and it lights up to make your costume extra special. 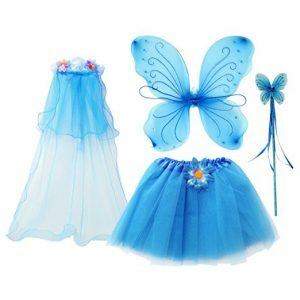 You can find many different styles and designs when you are looking at butterfly costume ideas. 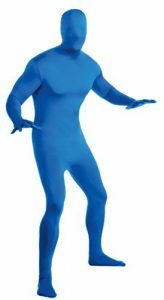 The Blue Crayon costume is another fun Halloween costume idea that comes in many colors, it’s not just blue…but I am only talking about blue outfits on this page. 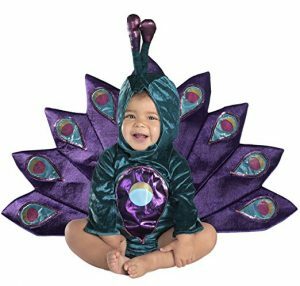 This costume idea comes in baby bunting sizes, toddler sizes, kids and teen sizes and adult sizes, so you can dress the family up and go out in a box of colorful crayons costume. There are also crayon costumes in different shades of blue, both dark and light colors, here I’ve pictured the sky blue ladies outfit. Dress up in a Blue Tuxedo costume this year. It’s that special look from the movie, Dumb and Dumber, but it’s a pretty dapper look for those of you who have always wanted a blue tux. It worked for Harry Dunne. 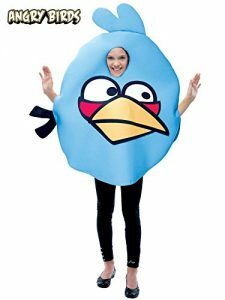 The Blue Angry Birds Costume is from the popular video game, The Angry Birds, and like many other costumes on this page it, too, comes in many other colors, but you didn’t hear that from me! This is the blue costume page and here’s the blue bird outfit. Navy Blues are always a pretty hot costume look. Who doesn’t admire a man or woman in uniform? Speaking of uniform costumes, the Police Officer is another beautiful blue costume idea that men, women, and kids will look great in. What a positive role model costume this is. Cookie Monster Costumes for the entire family! Cookie Monster of Sesame Street fame is a classic costume that never goes out of style. This year you can find a Cookie costume for everyone from babies and toddlers, to kids, to teens to adults. 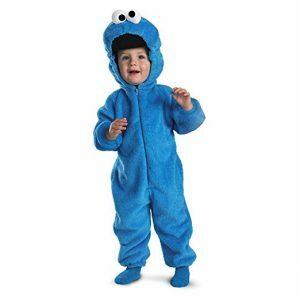 So plan on dressing up as a cookie loving, fuzzy blue monster this year for Halloween! Feeling wise? 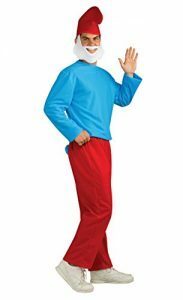 The Blue Wiseman costume is perfect for Halloween or Christmas time. This costume is from Biblical times when the wise men followed the star to find the savior, Jesus Christ, in a manager right after he was born. 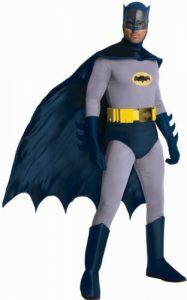 Batman Costumes are true blue, and you can find them in all sizes…men’s, women’s, kids, teens, dogs for heaven’s sake! Batman is another classic costume that will never, ever go out of fashion. For some Super dress up fun, choose Batman. The Blue Witch Costume You didn’t think I would finish a costume lens without mention of a Witch Costume, did you? No, no, no, I love witch costumes, and there are a couple of pretty nice ones in the color blue. Here’s one of my favorites…and ladies, this is strictly for the woman out there. 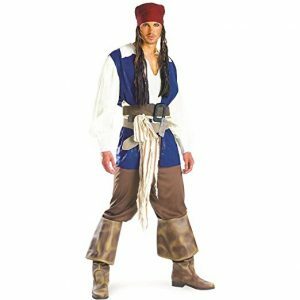 It’s a Blue Jack Sparrow Pirate Costume! I never realized that this costume had a blue vest, until now. For anyone who feels like a real scallywag this Halloween, here’s the king of the pirates himself, Jack Sparrow. The Blue Vampire Dress is a beautiful, gothic look for your vampire creation this Halloween. Add some fangs and costume makeup to this wonderful dress and lure your victims in. Just right for those ladies of the night who want to dine in a beautiful outfit. The Zombie Prom King Costume In Blue This zombie is the king of the prom, and he’s decked out in a light blue tux, it’s a bit messier now than when he started out. Boy, he looks like he had a terrible night. The prom is long over, but this walking dead king isn’t giving up. Super Mario Bros Both Mario and Luigi wear blue coveralls, hats, and sport a mustache. 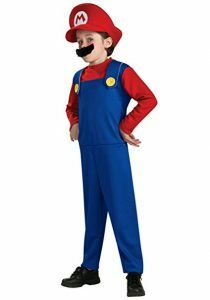 Star of movies, cartoons, and Nintendo games, the Super Mario Bros are also big time Halloween costume themes. Check out these fun costumes that are mostly blue and come in kids and adult sizes. Tell all the fortunes you want with these Blue Gypsy Costumes. Halloween and Gypsy Fortune Teller costumes go hand in hand. This blue skirted costume along with some beads and chains and hoop earrings will make a great costume. You can find more my fortune tellers costume lens. Megamind Costumes are blue! 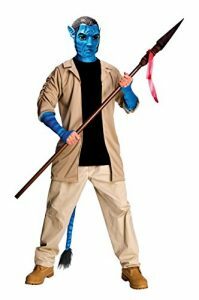 You can transform yourself into a Mega brainiac maniac this year with the fun costume for Megamind, that evil alien genius you will find here. Megamind and Metro Man costume ideas. Jake And, The Neverland Pirates, is blue too. Jake is a fun theme for a kid’s Halloween costume, so if your little one is a Jake fan, here’s the costume choice for you…that sure was easy! 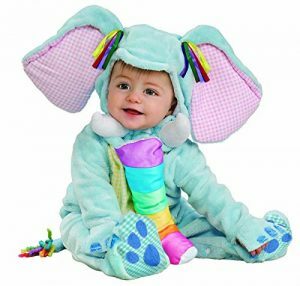 The Blue Elephant Costume for infants is another fun costume for your baby. I know your baby is just adorable and I know how much fun it is to dress a child up for Halloween, especially when you find costumes as cute as this little elephant! 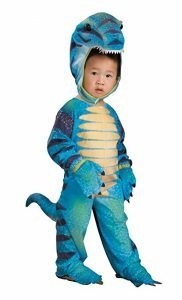 Here’s a cute Blue Dinosaur Costume for Halloween this year. It’s from Cutiesaurus, and it is definitely cute! Perfect for the kid or parent who is crazy about dinosaurs. Here are more cute baby Halloween costume ideas. Are Blue M&M’s your favorite? Well then here is the Halloween costume for you. 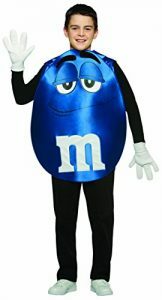 It’s a Blue M&M costume for kids, but it comes in sizes from a baby bunting to adults. Hello, Kitty Costumes Hello Kitty isn’t usually blue, but she is now! This is a new and very cute look for little Miss Kitty White! Her usual outfit is a pink skirt, a white blouse, and a red bow…but this season Miss Hello Kitty felt like a change. 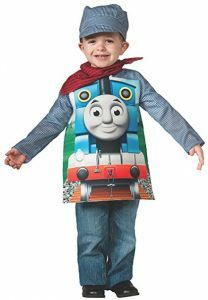 Another costume for a train loving kid is the Engineer Costume with blue stripes. This is a fun costume your child will want to wear all year round and it includes the hat, the neck scarf, the shirt and the engineer’s striped overalls! The Blue Lady Gaga Costume It’s Poker Face! That bathing suit and gloves are great and when you combine it with a Lady Gaga hairstyle or wig, you will have a winning combination for your Halloween costume this year. 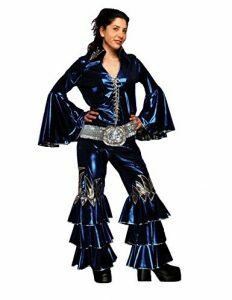 Blue Disco Dancer Costumes right from the 70s! If you are looking for a 1970’s costume look and disco is your thing, here’s a pair of fun loving costumes for a man and a woman. 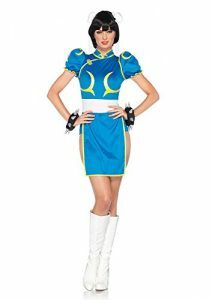 Blue Street Fighter Costumes I found two blue Street Fighter costumes, one is Akuma, and the other is Chun Li. Two fighters equal one great Halloween couples costume idea! Need a Toga Costume? Here’s one with a blue sash that Caesar would be proud to be seen in. 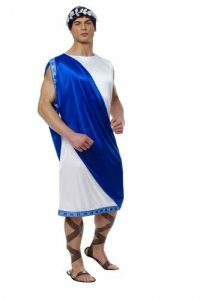 Name your Roman or Greek, and I bet they would want this blue draped toga in their wardrobe closet. “Et Tu Brute”? Yes, even Brutus would want one. Pair it up with pretty Aphrodite…you can find her at the top of the page, or you can match it to the Greek Athena costume found below.